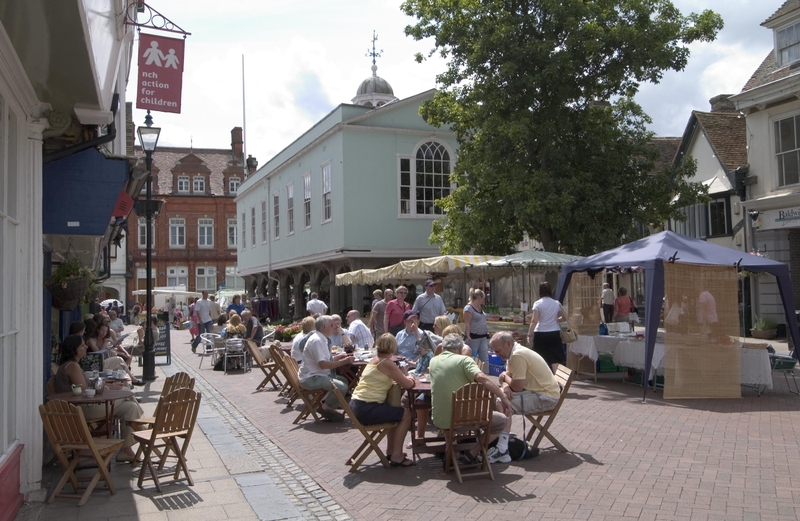 The history of Faversham dates back to pre-Roman times. 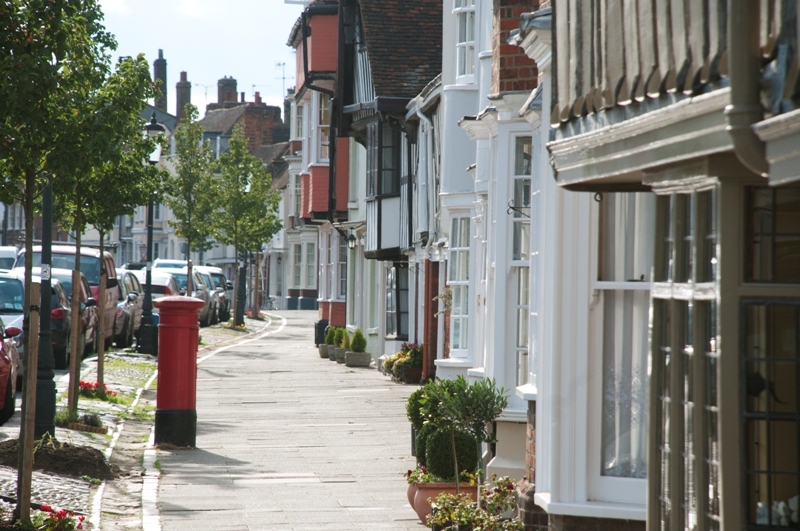 Its quaint charm and setting, between the beautiful Kentish Downs and the coast, makes it a popular choice for visitors. There is a market here three times a week; it’s the oldest in the county. 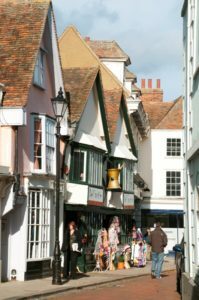 It takes place in the medieval market place surrounded by Tudor and Georgian buildings. The adjoining Abbey Street is one of the finest medieval streets in England. As well as these claims to fame, Faversham is also home to Shepherd Neame “the oldest brewery in Britain”. The brewery hosts a visitor centre inside a restored medieval hall. Why not join a guided tour of the working brewery and sample some of its fine products. Produced in Kent has information on the Farmers’ Markets in Kent. Kent is famous for its hops, but also for its market gardens and orchards. Near to the town is Brogdale, home to the National Fruit Collection. Here you will find 4,000 varieties of fruit to explore. Macknade Fine Foods, is the South East’s leading food hall, built on a 170 year history of food, farming and retailing in Faversham. It has one of the largest ranges of cheese and charcuterie available anywhere in the UK and is an excellent lunch stop. The cafe showcases many of the local ingredients found in the shop. Don’t miss the South East’s popular hop festival which is set in the beautiful medieval heart of Faversham. It celebrates Kent’s hops and other produce with a street market and tours of Shepherd Neame. There’s also an exhibition at The Old Brewery Store where you can meet the shire horses. The festival goes with a swing with several live music stages, Morris Dancing, and street performance. Not forgetting the younger family members, there’s also a family area and a fun fair. Faversham was once at the centre of the gunpowder industry. And it is home to the oldest gunpowder mill in the world, Chart Mills. The area supplied gunpowder to the Iron Duke at Waterloo. Moreover, in 1729, the existence of electric current was first demonstrated outside the town. Explore the town’s history at the Fleur de Lis Heritage Centre and Museum. This local museum is in one of Faversham’s 500 listed buildings. Volunteer members of the Faversham Society lead town walks which give a fascinating insight into the architectural, social and political heritage of the town. And, if walking whets your appetite, there are many pubs, cafes and restaurants offering tempting local fare. The parish church, of St Mary of Charity, built around 1300, is one of the town’s outstanding landmarks. A grade I listed building, its features include an impressive spire which was added in 1797. It was copied from the steeple of Christopher Wren’s St Dunstan’s in the East, in the City of London. The steeple stands on the tower and is visible from all parts of the town. The church also has a painted 1304 pillar and carved misericords. These are quire stalls with tip up seats. The seats have a carving protruding on the underside. These allowed elderly or infirm monks to rest on them while standing. The nave of the church was rebuilt in the C18th to a design by George Dance, who also designed the Mansion House in London. The impressive building is large and the transepts have twin aisles. This is a fine half-timbered building dating from the 1530s. It was originally the guest house of the Abbey. King Stephen founded the Abbey in 1148 which Henry VIII demolished, apparently using the stone to reinforce Calais. Arden House is one of the interesting Tudor, Georgian and Victorian buildings on Abbey Street. Arden’s House was the home of Mayor and businessman Thomas Arden, who was murdered there. The story of his murder was the subject of a play published in 1592, Arden of Faversham. The paid murders were rather amateur assassins. The play makes much of their blundering attempts and is all the more shocking therefore when the murderers succeed. The victim’s wife, paid her husband’s discontented tenant to hire killers on her and her lover’s behalf. The RSC performed the play in 2014. Visit Kent has details of a host of other nearby attractions such as Belmont House & Gardens, and Doddington Place Gardens.